InSpiritual Disciplines Handbook Adele Calhoun gives us directions for our continuing journey toward intimacy with Christ. While the word discipline may make us want to run and hide, the author shows how desires and discipline work together to lead us to the transformation we're longing for--the transformation only Christ can bring. 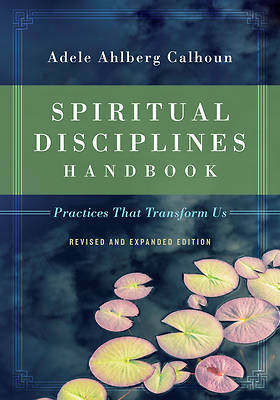 Instead of just giving information about spiritual disciplines, this handbook is full of practical, accessible guidance that helps you actually practice them. With over 80,000 copies in print, this well-loved catalog of seventy-five disciplines has been revised throughout and expanded to include thirteen new disciplines along with a new preface by the author. Mothers, fathers, plumbers, nurses, students--we're all on a journey. And spiritual disciplines are for all of us who desire to know Christ deeply and be like him. Here is direction for our desire, leading us to the ultimate destination: more of Christ himself.